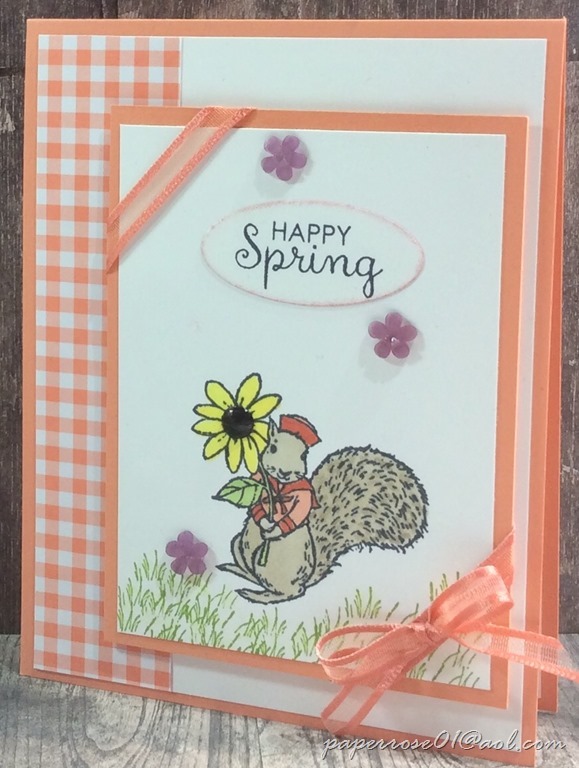 The “Springtime Impressions” Thinlits Dies feature 3 great dies. My favorite is the beautiful butterfly we see in this sample. 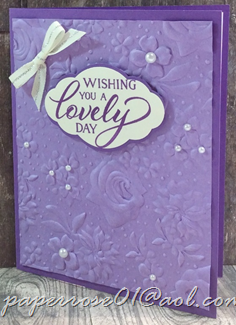 The card starts with a base of Rich Razzleberry and a layer of Flirty Flamingo that is embossed with a retired butterfly embossing folder. A strip of retired “Sweet Soiree” Designer Series Paper (DSP) embellishes the left side of the Flirty Flamingo. Silver foil is prominent in this DSP so the strip embellishment is highlighted with a strip of silver. 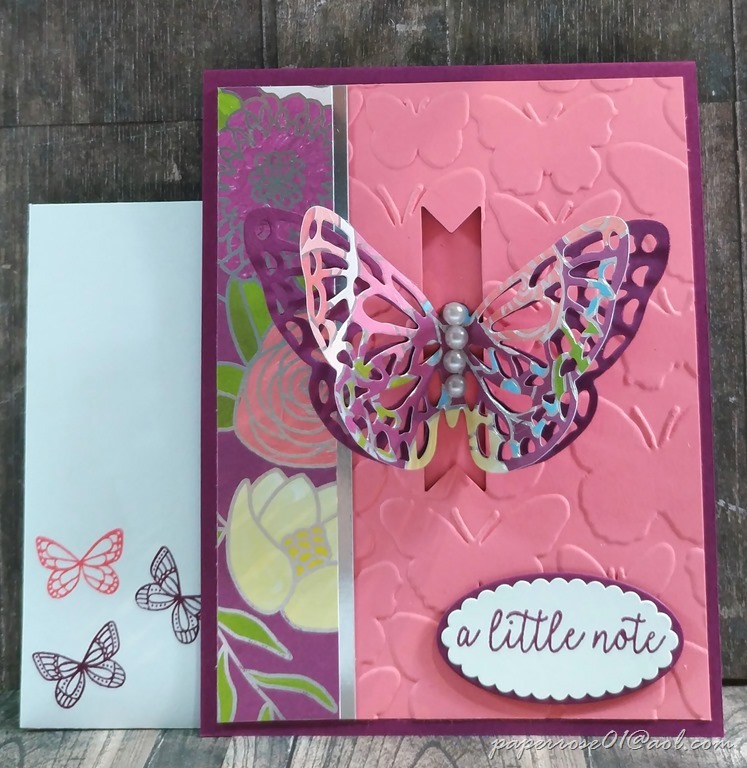 The butterfly is die cut in the same DSP and is layered on a Rich Razzleberry die cut matching butterfly. This gives greater depth to the image. 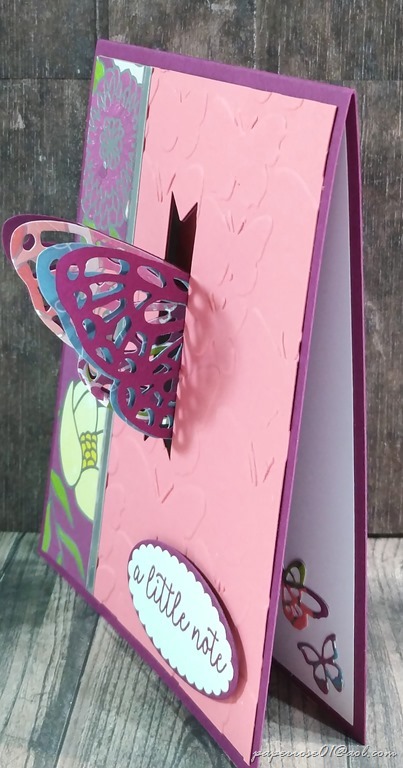 A banner shape is die cut in the middle of the card front and the 2-layer butterfly is adhered to the message layer. This allows the butterfly freedom to “fly” from the top card layer to the message layer (see picture below). 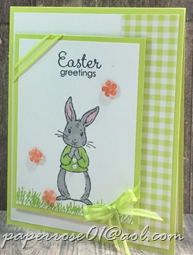 A sentiment is stamped in Rich Razzleberry on white and die cut in an oval shape. A die cut Rich Razzleberry oval frames the sentiment. Although the 2 samples are very similar, the top sample shows the butterfly adhered to the white message layer. The sample to the right shows the butterfly adhered to Flirty Flamingo. A Flirty Flamingo scalloped oval is adhered strongly to the message layer. This allows the Flirty Flamingo top card layer to maintain the unbroken color which is pleasing to the eye. However, this leaves an oval in the middle of the message layer which leaves little room for a message. In addition, it is difficult to center the oval. The choice is yours – to add the Flirty Flamingo oval to the message layer or to let the white show thru. The recipient will love the card either way. Note the use of pearls highlighting the spine of the butterfly. 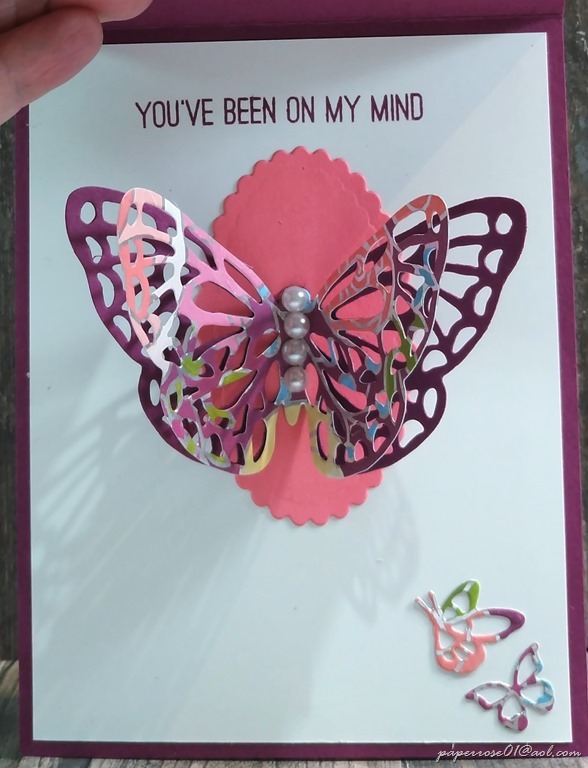 This picture shows the butterfly “flying” from the front of the card to the message layer. The butterfly doesn’t require assistance when flying to the message layer. However, assistance is needed to bring the wings together when the butterfly “flies” from the message layer to the card front. We have now seen 4 butterfly cards for our Bunches of Butterflies March Stamp Camp. Butterflies and spring are quickly approaching. These cards give us a head start in celebrating the upcoming days with our friends and relatives. March Stamp Camp is March 7th from 12N – 6 pm. March 8th from 2 pm – 6 pm, and March 9th from 9 am – 4 pm. If you have a date/time conflict, please let me know and we can set up an alternate time. The cost is $14 and includes everything you will need to make your Bunches of Butterflies. Additional cards are $3.00 each. Sale-A-Bration continues until March 31st. 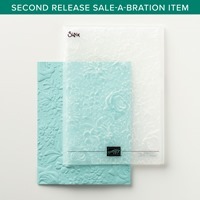 A second release is now available with Sale-A-Bration. Items are selling out quickly. 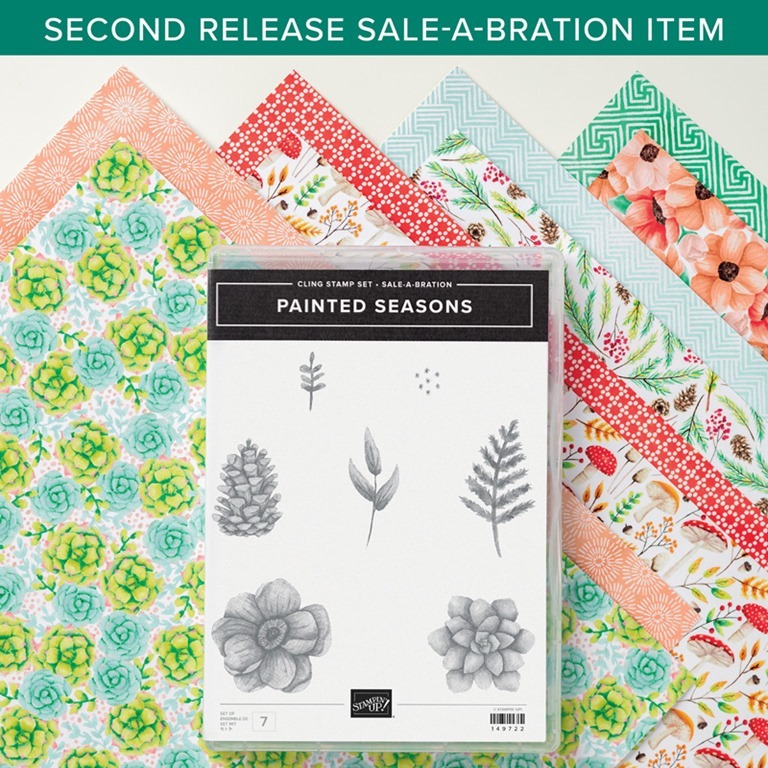 You can see all the available Sale-A-Bration products at 2019 Sale-A-Brations. Finally, I am discounting all SU paper products thru February 28th. This is a great chance to purchase some of the beautiful designer papers and the basic colors. You can never have too much Whisper White cs! Please let me know which cards you wish to do. Many of you told me at the February Stamp Camp but the paper I had written this information mysteriously vanished. I want you to make as many cards as you wish of the designs you like the best. 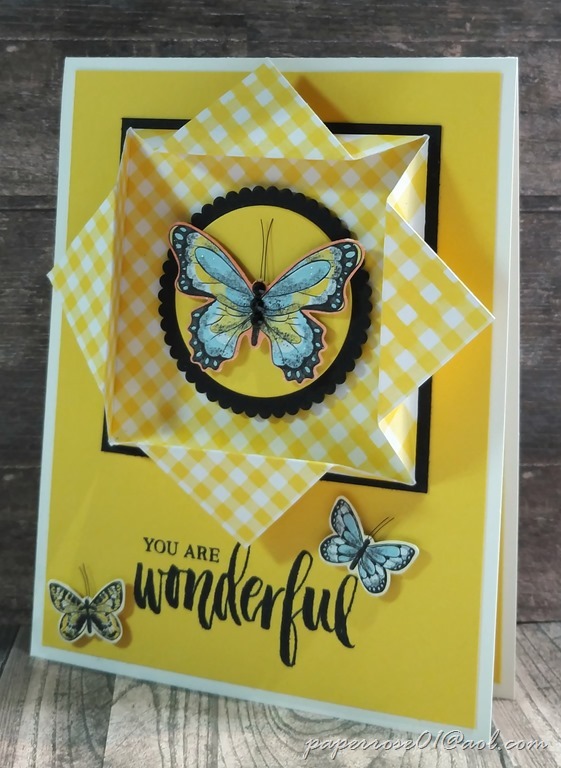 Origami is all about folds and that is exactly what we see in this cheery Daffodil Delight card highlighted with matching gingham DSP and butterflies. I have admired this frame technique for several years, but somehow could never figure it out. I case’d the card from Cindy Brumbaugh who gave excellent instructions which I will share with you at March Stamp Camp. 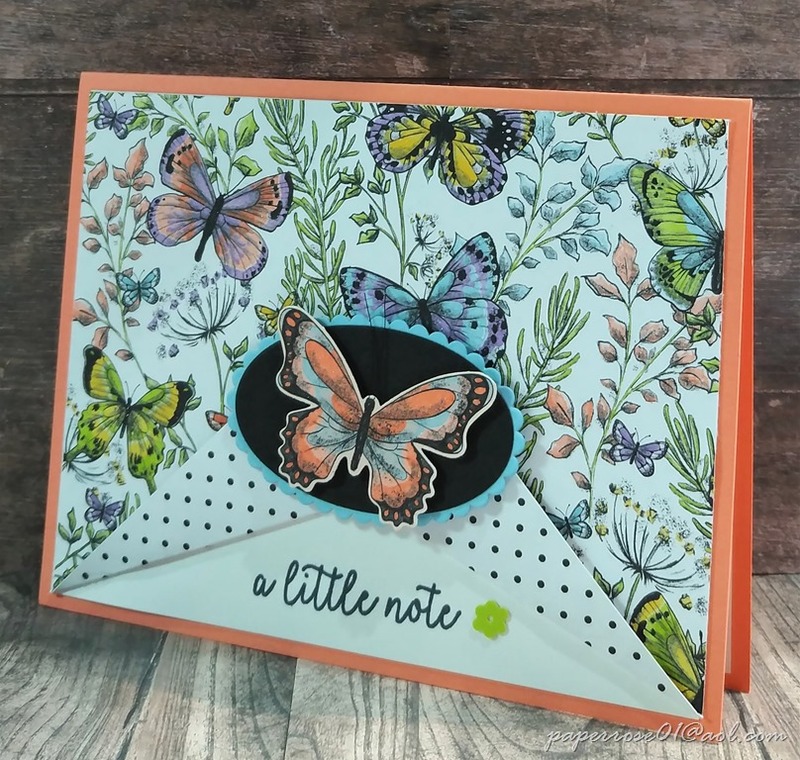 The origami frame features a butterfly from the Botanical Butterfly DSP which is free with a $50 SU purchase from Sale-A-Brations before March 31. This beautiful DSP has several butterfly sizes. Note the small butterflies fluttering around the sentiment. The butterflies were punched out with the Butterfly Duet Punch (currently on backorder.) Note the antennae on all the butterflies – a secret I will share at March Stamp Camp. This is the third card from Bunches of Butterflies. This butterfly Stamp Camp is being held on March 7th from 12N – 6 pm. March 8th from 2 pm – 6 pm, and March 9th from 9 am – 4 pm. If you have a date/time conflict, please let me know and we can set up an alternate time. The cost is $14 and includes everything you will need to make your Bunches of Butterflies. I love this envelope-style butterfly card. The beautiful background paper is the Botanical Butterfly Designer Series Paper (DSP). This 12 sheet, 12 X 12 package contains 2 each of 6 double-sided designs and is only available with the Sale-A-Brations special. If you purchase $50 of SU products before March 31st, this beautiful paper could be yours! The DSP is slit in the center and then folded back as shown. This is layered onto Whisper White DSP and then onto the Grapefruit Grove card. The DSP features beautiful butterflies that coordinate with the Butterfly Duet Punch (on backorder). 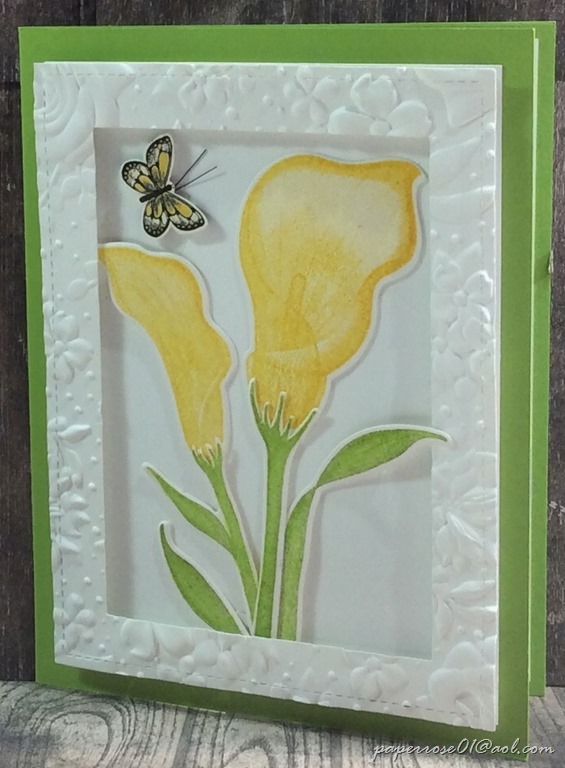 I spent a pleasant afternoon punching out both larger and smaller butterflies to use on our cards. The sample features a blue scallop oval layered with a black oval although any color scallop oval can be used. 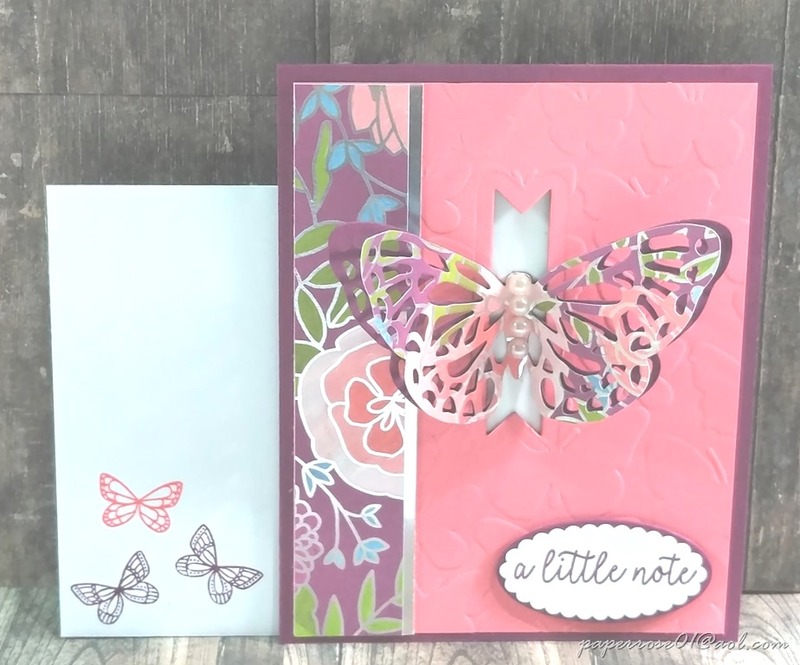 The butterfly is popped up with Stampin’ Dimensionals. I have even put black antennae on the butterflies and will be happy to share my secret at March Stamp Camp. Is this a card you would like to make? Let me know and I will make sure to include it in your kit. I know I asked folks at February Stamp Camp which cards they wanted to make, but unfortunately, I lost the list! March Stamp Camp is titled Bunches of Butterflies. Butterflies help us remember that spring really is just around the corner – just 24 days as of today. This is a card that sparkles. 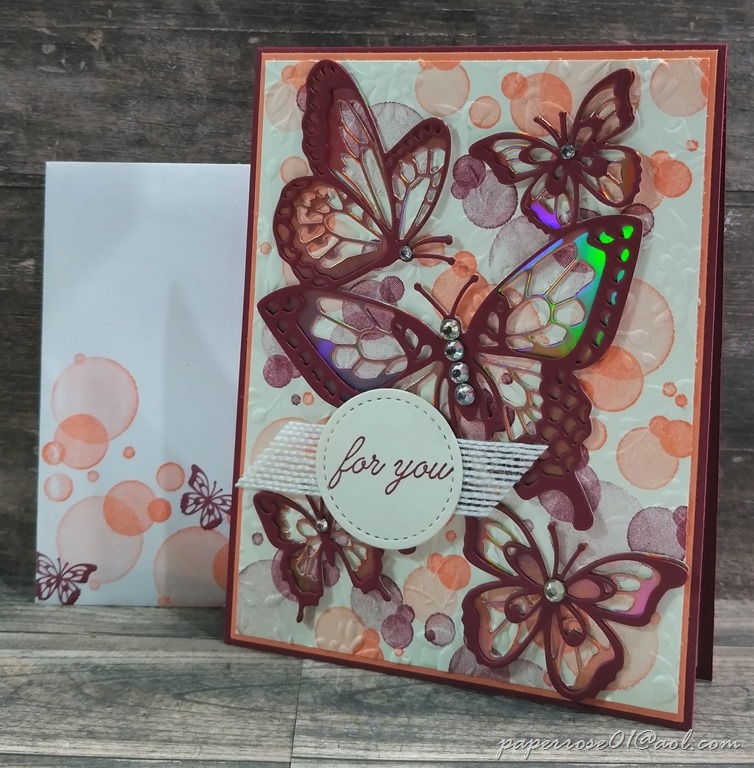 The “Beauty Abounds Cling Bundle” provides the butterflies and the Grapefruit Grove foil sheets from the Sale-A-Bration special, provide the sparkle. The Whisper White top layer is stamped in Merry Merlot and Grapefruit Grove and is layered on Grapefruit Grove and Merry Merlot cs. 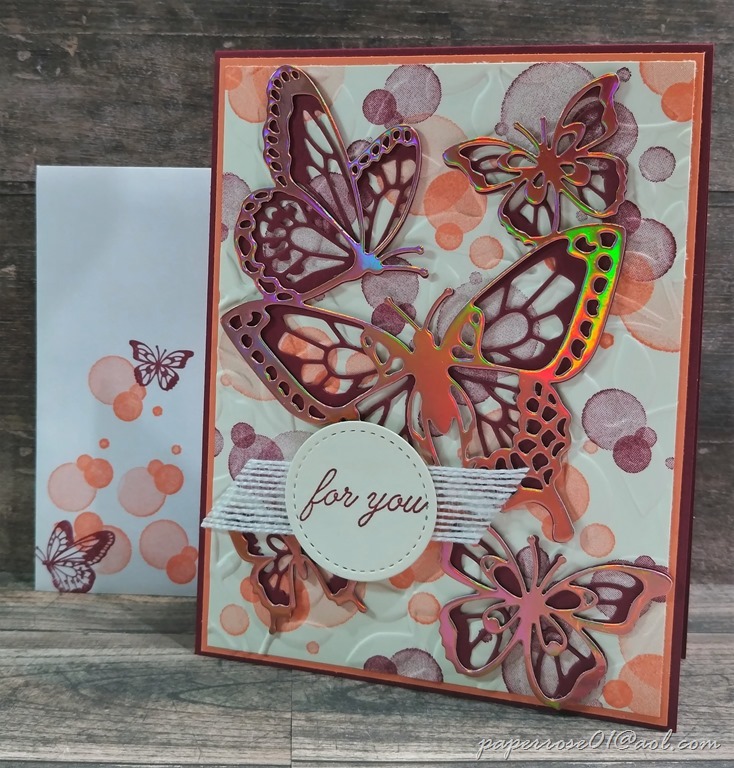 The top layer of butterflies is die cut on Merry Merlot and the bottom butterflies are die cut on Grapefruit Grove foil. The merlot butterflies are carefully adhered to the grapefruit butterflies and adhered to stamped white layer. Rhinestones are added to give a bit more sparkle. The sentiment is stamped and die cut with a stitched circle framelit and adhered to a small piece of 5/8” Whisper White flax ribbon. The second offering reverses the Merry Merlot and Grapefruit Grove foil butterfly layers. This card simply gleams. The background is stamped the same as the previous sample. Rhinestones are not added as there is there is sufficient sparkle from the foil. To prep for this card, there will be Merry Merlot and Grapefruit Grove foil adhered to the Sizzix adhesive sheets. This will alleviate gluing the top butterfly layer to the bottom. March Stamp Camp is just around the corner – March 7th from 12N – 6 pm. March 8th from 2 pm – 6 pm, and March 9th from 9 am – 4 pm. If you have a date/time conflict, please let me know and we can set up an alternate time. The cost is $14 and includes everything you will need to make your Bunches of Butterflies. 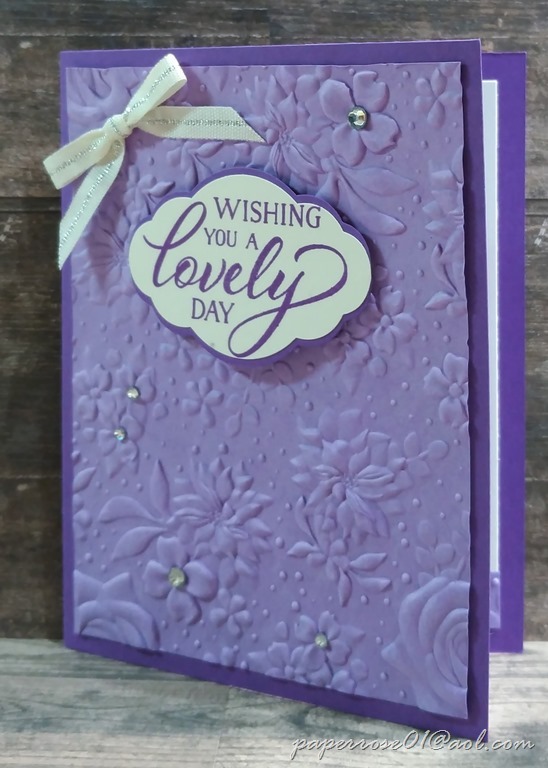 This embossing folder is the best thing since the Big Shot! 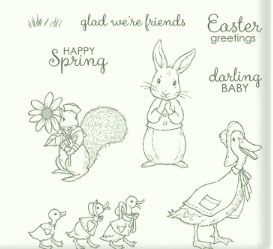 We will be doing a card with this embossing folder in April or May. The floral impression is absolutely beautiful. This item is the Painted Seasons Bundle. This didn’t “WOW” me at first. However, as the matching dies became available at additional cost, I started seeing cards and other creative ideas that I absolutely loved. So this has become my second favorite item from the second release. And don’t forget that I am offering 20% on all SU paper products until the end of February. Hope to see you at March Stamp Camp!